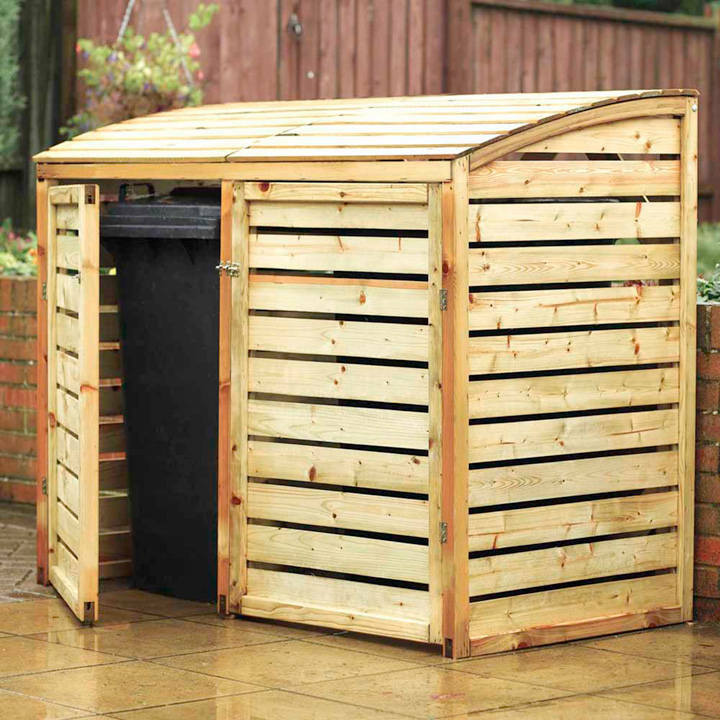 The ideal way to cover up what are necessary but unattractive items, this Double Wheelie Bin Store is designed to keep your outdoor space looking elegant and tidy. It provides storage for and easy access to two wheelie bins, with two lifting lids that can be attached to the bin lids for ease of use. Natural timber finish, pressure treated against rot. Flat packed for home assembly. Maximum overall size: 156cm (61½") wide x 82cm (32¼") deep x 128cm (50¼") high. 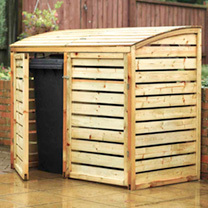 Maximum bin size: 74cm (29") wide x 74cm (29") deep x 106cm (41¾") high. PLEASE NOTE: Baskets are not included, but for illustration purpose only. UK MAINLAND ONLY.